It was an honor to receive the Tiffany award at the 2012 Leaders Breakfast of the Northern Pacific Chapter of the IIDA yesterday morning. An added treat was being given an original molded laminated wood splint, designed by Charles and Ray Eames and produced by the Evans Product Company for the U.S. Navy in 1943. 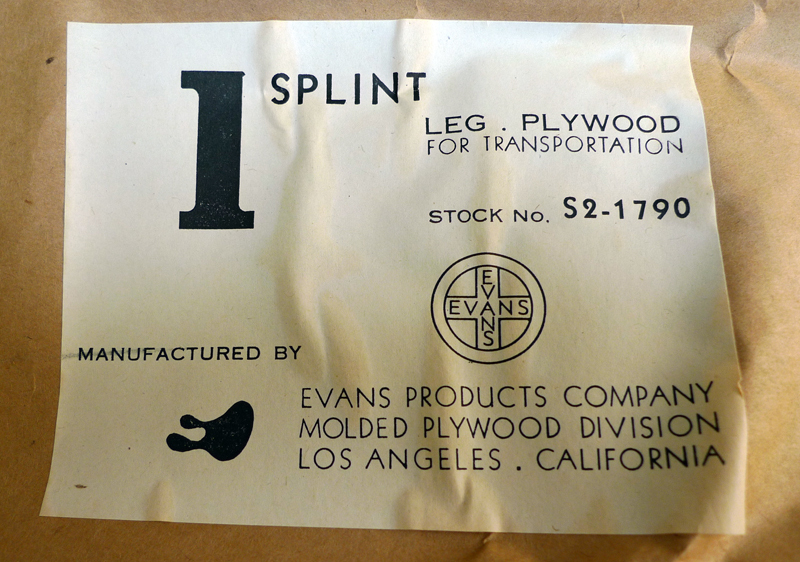 The wood molding technology used for the splints led to the Eames’ development of several molded plywood furniture designs in 1946, all produced by Herman Miller. I haven’t yet had the courage to open the wrapping but here is a photo of the label. The highlight of the morning was an entertaining and inspirational talk by Ed Viesturs, author of “No Shortcuts to the Top” and one of the very few to have climbed all 14 “eight-thousanders” (peaks over 8000 meters in elevation) without bottled oxygen. He spoke of teamwork, patience, perseverance, and most importantly, passion in what we do. This entry was posted in Design by FC_admin. Bookmark the permalink.